Draws a box using display lists for speed. Definition at line 39 of file llbox.cpp. 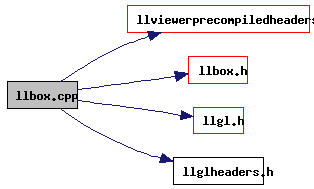 Referenced by LLViewerJointShape::drawShape(), LLViewerWindow::initGLDefaults(), LLManipScale::renderAxisHandle(), LLManipScale::renderBoxHandle(), LLManipScale::renderEdges(), and LLViewerWindow::stopGL().